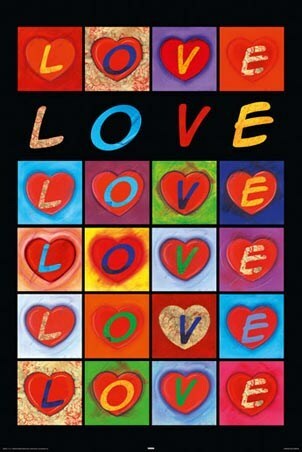 Children's Maxi Poster: If you've had enough of the happy clappy cute kitty parade then you will love this laugh out loud poster by David and Goliath. 'Goodbye Kitty' features a rather sorrowful looking kitty in the form of a skull and cross bone as he takes a trip to life on the other side. 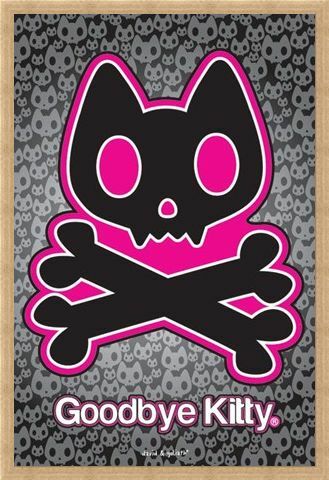 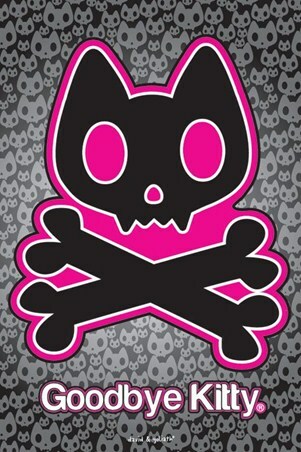 In black and pink against a grey background of mini skulls, this eye catching maxi poster is guaranteed to make a comical impression on your wall. 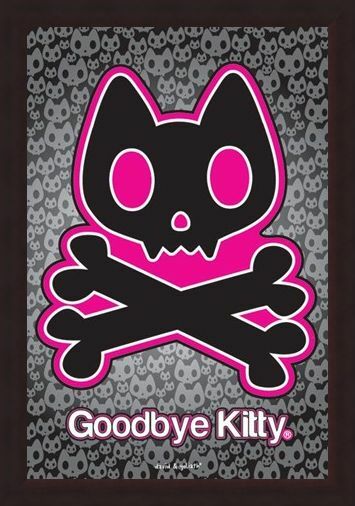 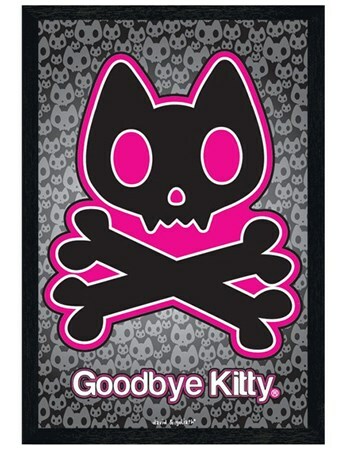 If you are looking for some light humour and gorgeous cartoon designs then this cute Goodbye Kitty poster will make a bone shakingly funny addition to your bedroom wall. 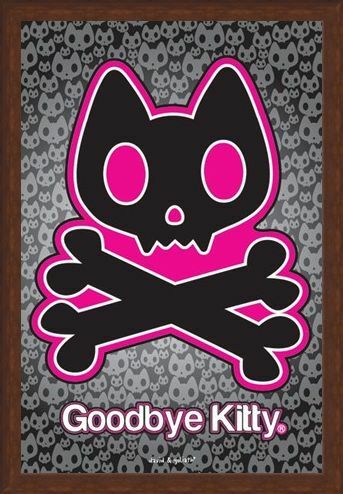 High quality, framed Goodbye Kitty, David and Goliath poster with a bespoke frame by our custom framing service.